We are happy to once again welcome Reiyukai America to PMX. This year, they will be hosting both a panel and a workshop. Their panel will take a look at the nuances of the Japanese world and Eastern culture. The workshop is an interactive look at how to recycle things once thought of as trash into something new and useful. There will be four chances to go to the workshop (children are welcome). Visit any of our video rooms and pick up an entry form for a chance to win ONE 1-year PREMIUM ANIME membership from Crunchyroll. Forms will be passed out after each screening. Limit one per attendee per screening. Winner will be announced at closing ceremonies, but need not be present. Forever alone? Looking for that someone just for you? 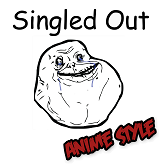 Then Singled Out is the place to be! Compete against other eager PMX attendees who are also looking for the chance to win a "date" with a special guy or gal! Your chances of winning depends on how compatible you are with each other. Will you strike out or find the guy (or girl) of your dreams? 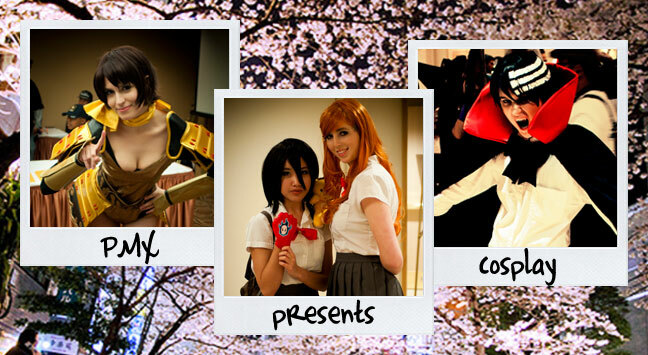 Love (and awesome prizes) could be waiting for you at Singled Out - Anime Style! Please Note: Cosplay is encouraged and there is no need to pre-register to participate in this game show. Just drop in and join the fun! Notice: This program is for attendees 18 years or older. Get ready for a Funny Friday! Anime and nerd based comedy at its finest. Come to this show for a great laugh or if you want to be a part of this show. Curious as to what's in store? Check out last year's performances on YouTube. We are happy to welcome Ball Jointed Doll to PMX. They will be hosting both a painting demonstration and a swap meet. Their demo will cover techniques and theories on how to produce a BJD workshop. The swap meet will be for hobbyists who want to sell BJD related items. 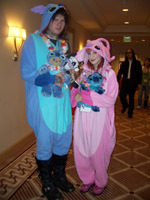 The word ‘Kigu’ is short for ‘kigurumi’, translating as ‘costumed animal character’ in Japanese. Have a Kigurumi? Or a fun animal hoodie that would do? This PMX we invite you to suit up, bring a blanket and pillow and head on to for Kigu Pajama Party! For games to play, prizes to win, pictures to be taken and good times to be had. Everyone is welcome, Kigus/hoodies not mandatory but extremely encouraged! Cosplayers spend hundreds to thousands of dollars and uncountable hours on their amazing and intricate costumes. Ani.ME understands how important this is and wants to celebrate all your efforts. To commemorate the hard work of fans and to present cosplay as the creative art form that it is, Ani.ME will be offering their famous photo studio, where cosplayers can have professional photos taken! DIGITAL COPIES ARE FREE and low-cost archival gallery prints will also be available. Last year's photos can be viewed in the following Flickr galleries: PMX 2011 Overview, PMX 2011 Day 1, PMX 2011 Day 2, PMX 2011 Day 3. Pacific Media Expo's Martial Arts Workshops program is back and better than ever with three diverse workshops sure to excite martial arts fans. The workshops showcase a diverse array of martial arts from the Philippines, and Brazil. A valid PMX 2012 membership is required to attend these workshops, don't miss out register now. 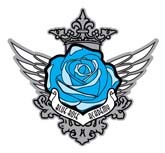 Blue Rose Academy is a school themed game show where convention attendees are transformed into "foreign exchange students" visiting our academy. Anyone and everyone can participate in each class activity taught by our students. Blue Rose Academy will be holding workshops on Saturday, November 10th, 2012 ONLY. For time and location please read more. Interested in more than love triangles, Cinderella stories and money troubles in Korean Dramas? Check out the list of Korean Dramas brought to you by YA Entertainment. You'll find more dilemmas such as gender benders, body swaps and the irresistible live action versions of Japanese anime/manga. And lastly, who can resist the allure of magic and mysticism? Addicted to drama? We’ve got Korean Drama. Yes, K-Drama is back and it's bigger and better! PMX will give you your drama fix. Please check room locations for times. 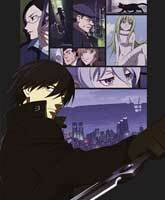 Titles are available at Rightstuf.com and Amazon.com. PMX will have a full array of panels featuring guest speakers, industry insiders, and fan evangelists. Come hear our guests and industry leaders talk about their past efforts and new projects. Find out when your favorite titles will be coming to market and learn the inside story on how the industry works. Expect to see fan panels covering topics as diverse as Asian street fashion, running a fan website, animation cel collecting, costuming and much more. If you are interested in being a presenter, please see our Industry Page for more information. 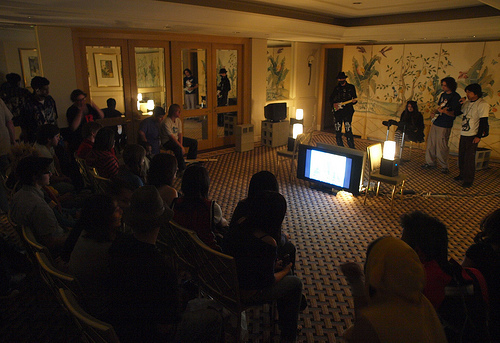 PMX's Karaoke room keeps the crowds running away in horror and running back for more. Here is your chance to take your act out of the shower and onto the stage with a proper microphone! Sing along to your favorite C-pop, J-pop, J-rock, K-pop, OPM, or anime tunes. Bring your own CD or take a chance with our karaoke database of mystery. Earplugs sold separately. Click here for our karaoke policy. 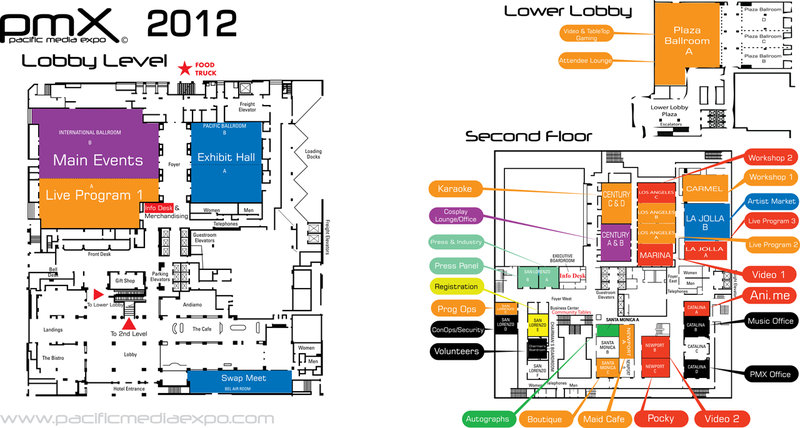 If you love anime, PMX is the place to be! We will have a video room dedicated to bringing you the best in anime representing the newest releases from both the US and Japan.